When I'm looking at makeup brushes, one of the things I pay very close attention to is the type of hair that is used for the bristles. While I'm all about beautiful natural hair brushes made of goat and squirrel for most of my eyeshadow and cheek powder brushes, I have several (ok, maybe more like a dozen) synthetic brushes that I use regularly. I almost always turn to synthetic brushes to apply liquid foundation, concealer and eyeliner because I usually wash the product off after every single use. While I can go a week or maybe two before washing a blush brush, I can't apply gel eyeliner with a brush that already has caked on liner. For the last few years I've been caught up buying natural haired brushes and building up my luxury brush collection. But I recently realized I needed to update some of my well-loved synthetic brushes that have seen better days. A couple of well-timed deals ultimately led to these purchases. Sephora and Hakuhodo's brush collaboration is still on sale so I took the opportunity to acquire two more. I already had the Otsubu Large Teardrop Pointed Powder Brush, which made it to a favorites roundup, and the Kusabi Wedge Sloping Powder Brush which I purchased at the end of 2015 and still use often. This time I picked up the Ougi Fan Cheek Brush and the Kusuriyubi Angled Concealer Brush. Both are currently sold out but the Otsubu and Kusabi are available. I like small cheek brushes so the size of the Ougi was very appealing. The shape is a little odd for blush but time will tell if I get the hang of using it. Both brushes are very soft and well made; I honestly expect no less since they are handmade by Chikuhodo. Do you guys remember when MAC dominated the brush rolls of every blogger and YouTuber? Those days seem to be long gone as there are so many more brush companies now. The 217 still holds a special place in my heart though mine is looking a little worn after many years of frequent use. I picked up the Mac 159 Brush to use with cream cheek products. It's a duo fiber brush that is pinched so that you have wide flat sides which I like for patting on product. I have a similarly shaped Coastal Scents brush that I still adore and I wanted to have a nice backup for when I haven't had time to wash that brush. I also added the Mac 170 Brush to my cart because my Real Techniques and Zoeva foundation brushes are stained and they just don't perform as well as when I first got them. The Mac 170 generally has pretty good reviews so I think it will do the job fine (if it's a total flop, I'll be sure to update you guys). 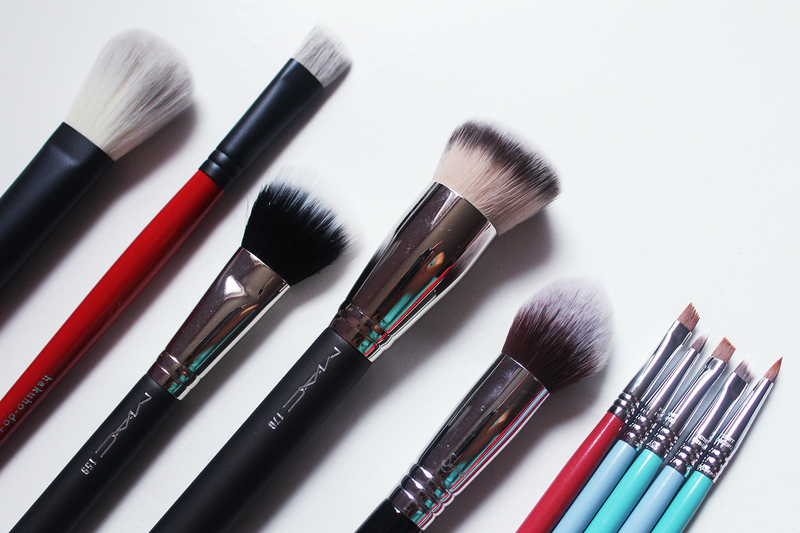 Does anyone still use their Sigma brushes? Sigma was one of the first beauty companies I remember that used digital influencers to catapult their brand. Seems that hype didn't last though. I have an eyeliner brush from them that I got as a freebie at IMATS a few years ago which I really like so I decided to get a few more from their sale section. I always need clean eyeliner brushes so I picked up several of the E65 and E05. 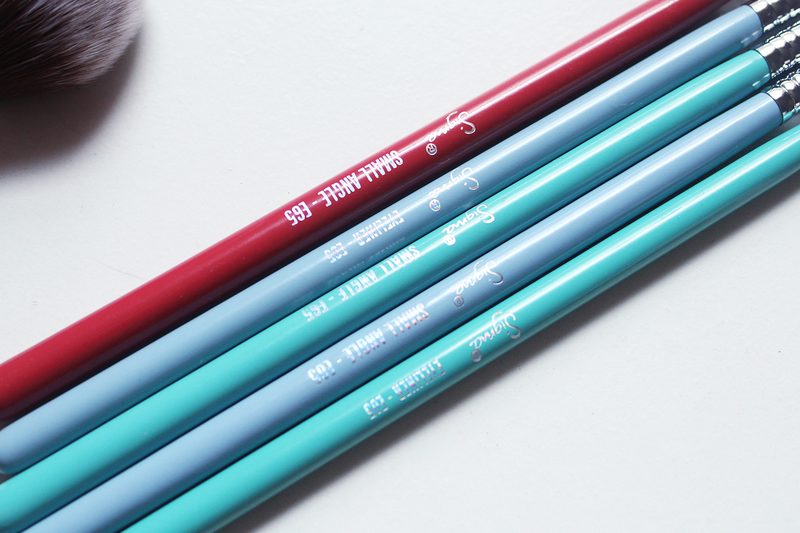 The E05 is so good for gel eyeliner. If you struggle with gel liner, try this brush! I also picked up their Concealer Blend Kabuki Brush because the tapered shape looked pretty unique. This brush wasn't particular cheap at $23 and it's not as soft as I hoped it would be. So I'm a little disappointed already. I haven't used it yet so don't want to totally dismiss it. I'm thinking it might also make a good cream contour buffing brush. That's it for my rambly brush haul. I've yet to test out these guys (besides the Sigma E05) but can't wait to use them. Let me know if you've tried any of these and how you like them in the comments!